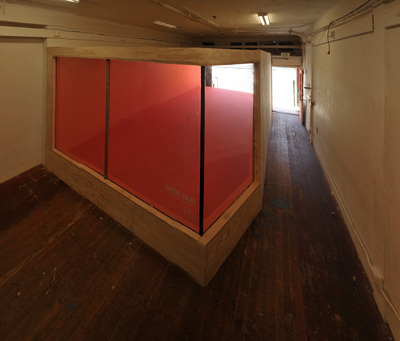 Storefront Plaza by Nate Page relocates the windows of Machine Project and reinstalls them twenty feet back into the main gallery space. 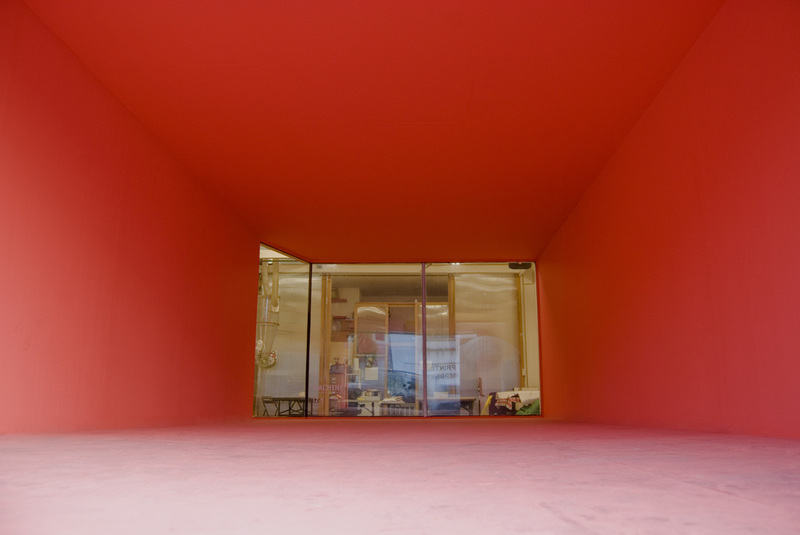 To achieve this the exterior walls of the building stretch deep into Machine’s storefront along a constructed support structure which re-assigns much of the interior space as exterior space. 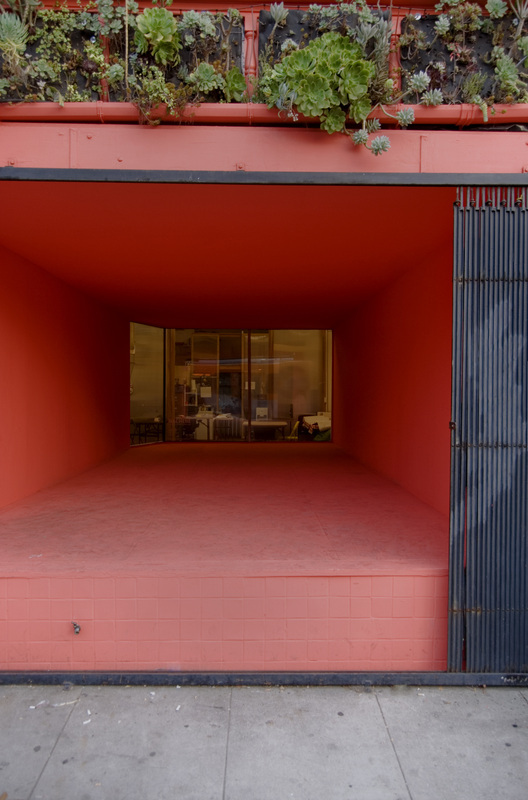 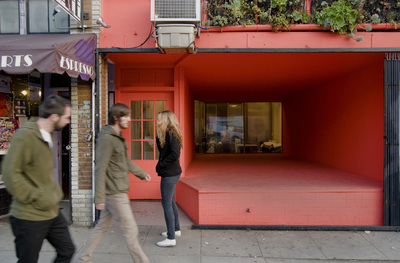 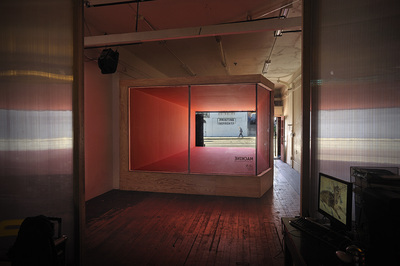 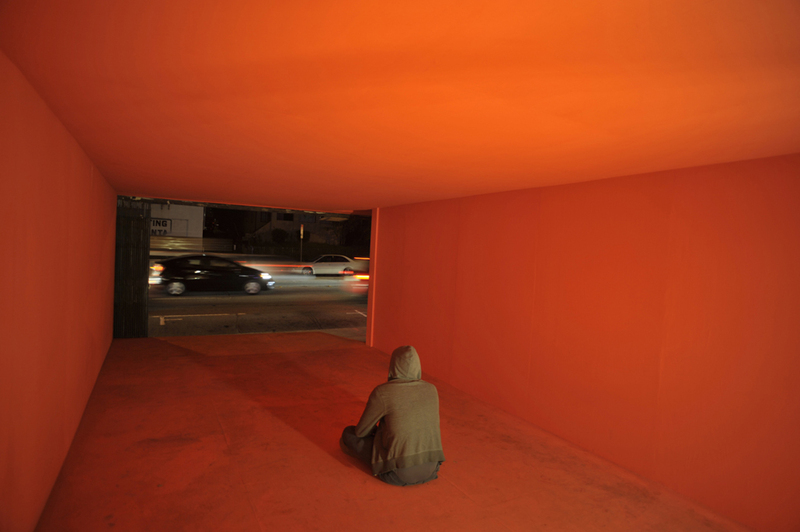 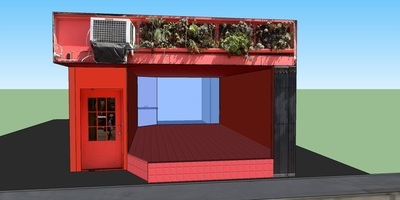 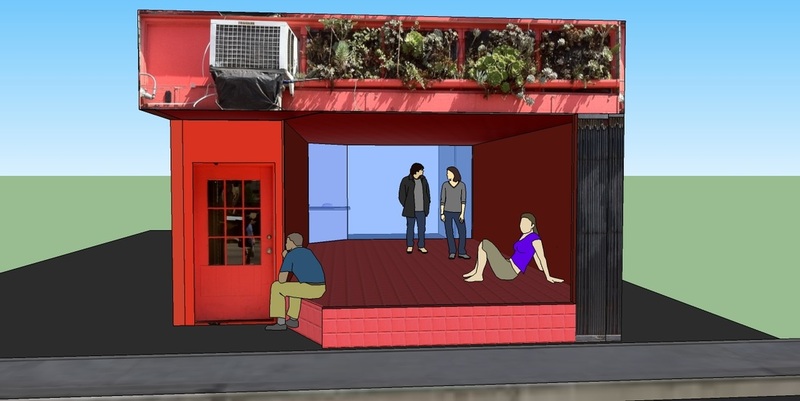 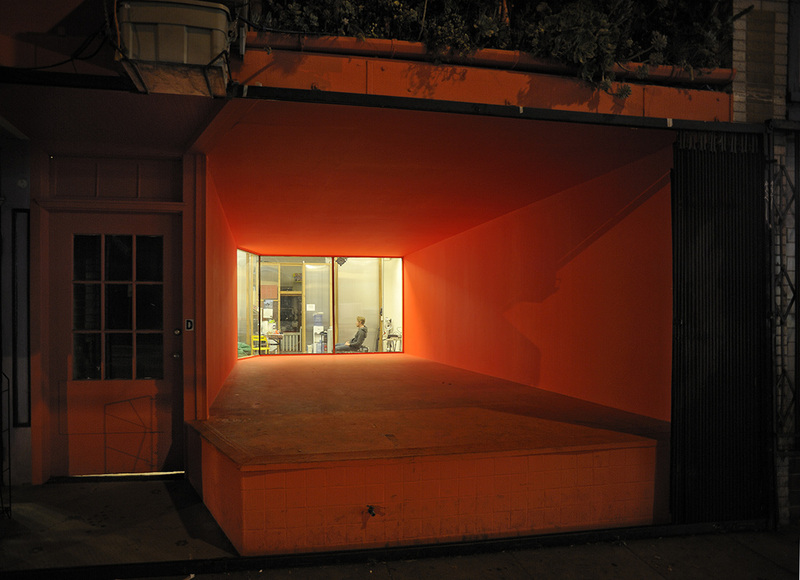 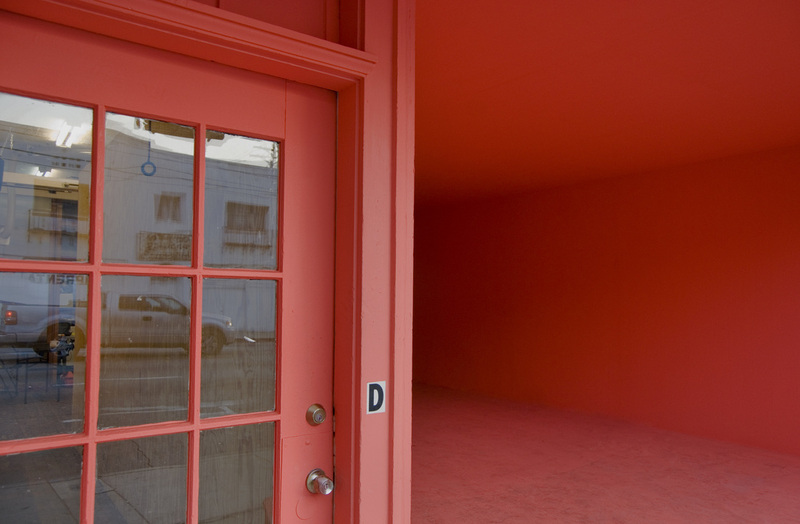 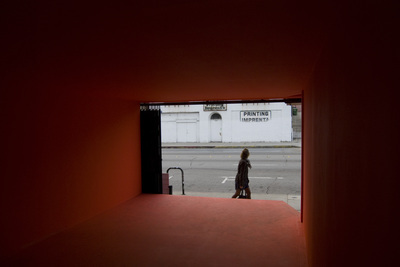 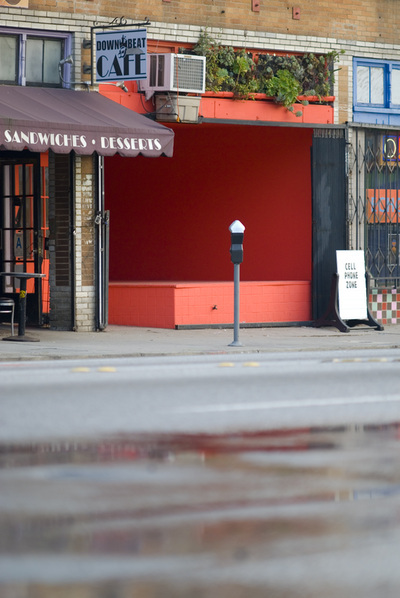 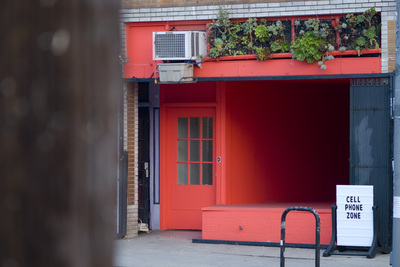 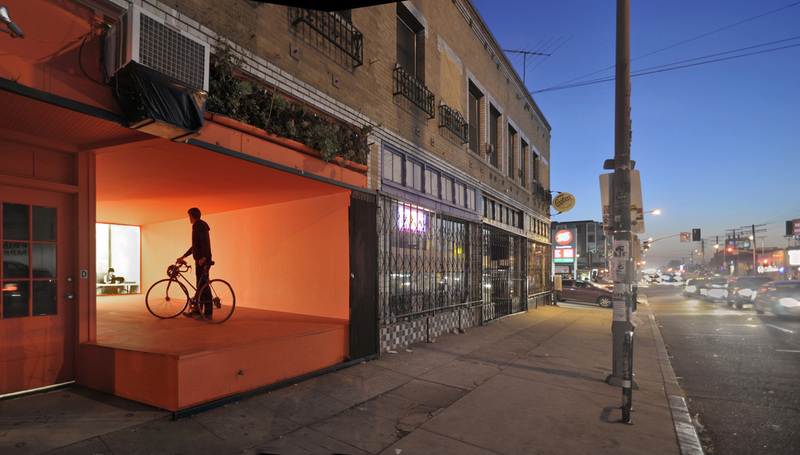 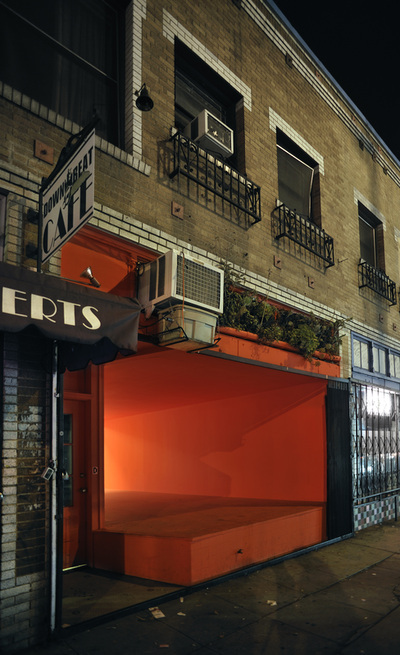 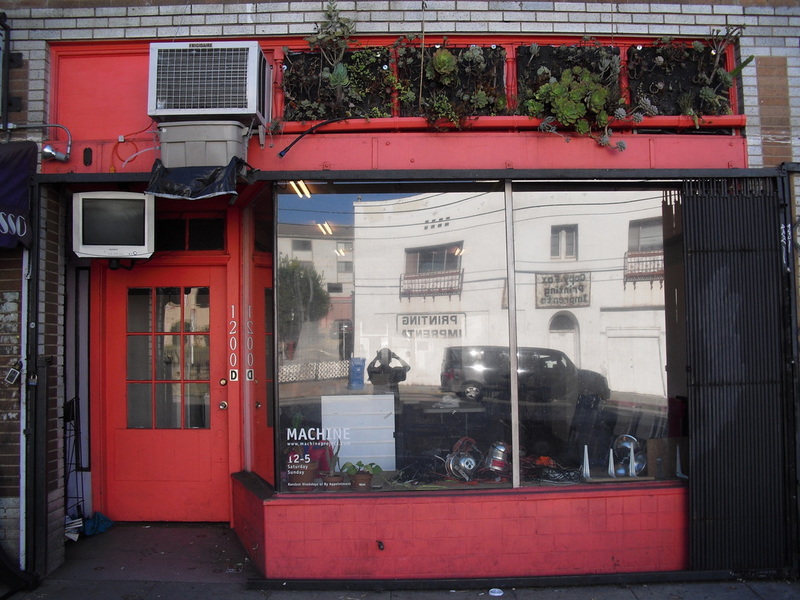 As a result, the public will be able to access what was formerly Machine Project’s front room now transformed as a large sidewalk alcove; the storefront pulled back like a slingshot from the street. For the past several years, Nate Page has been exploring the public’s psychological relationship to designed environments, and has participated in several of Machine’s largest museum projects. 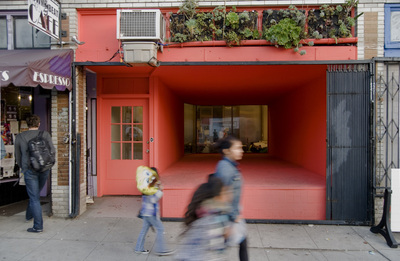 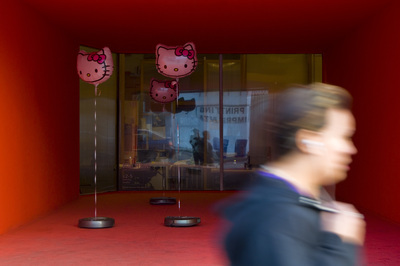 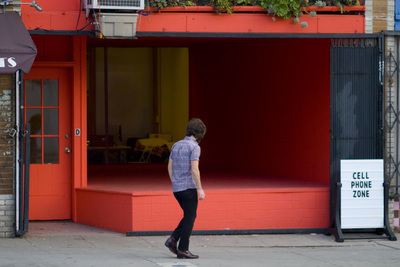 Storefront Plaza continues this investigation through the manipulation of the architectural boundary that marks one’s participation in either a public or private space. The transformation calls attention to the symbolic line that one crosses into these places by extending the three dimensional space that represents it. 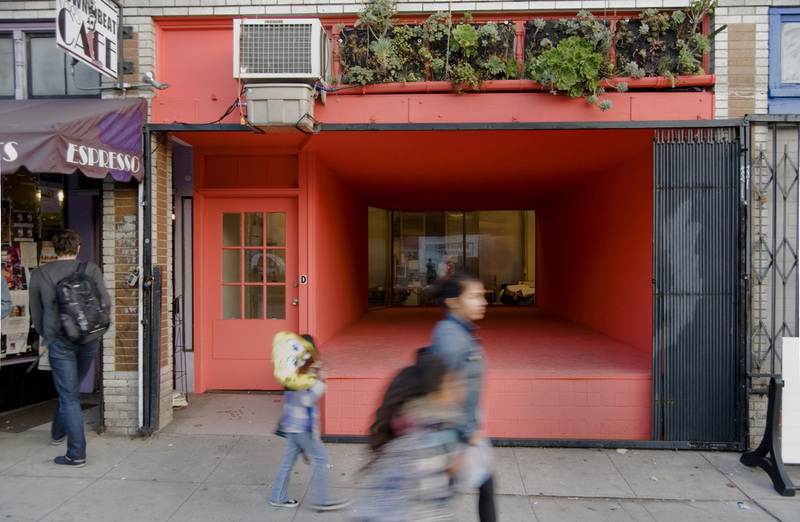 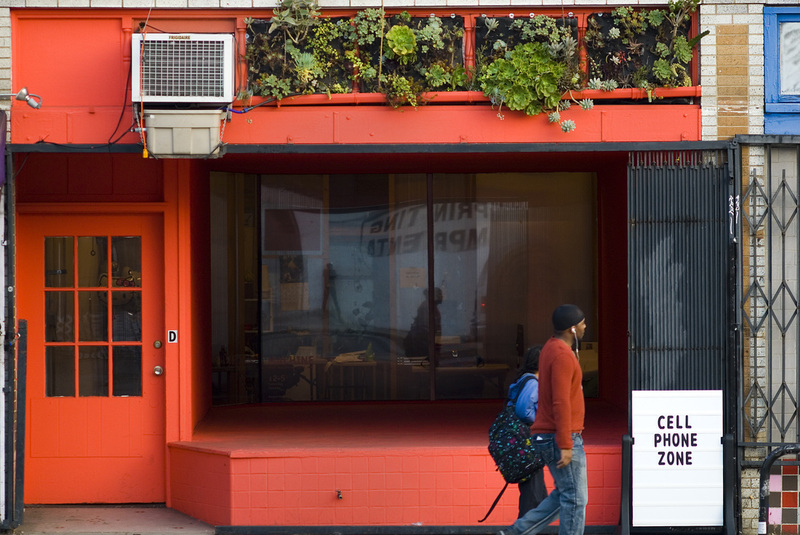 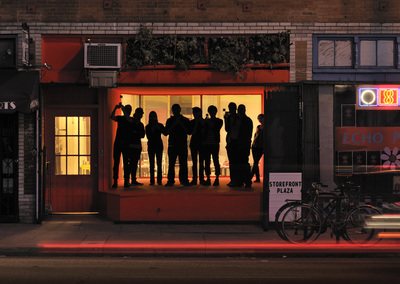 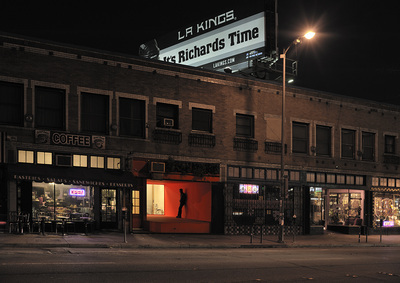 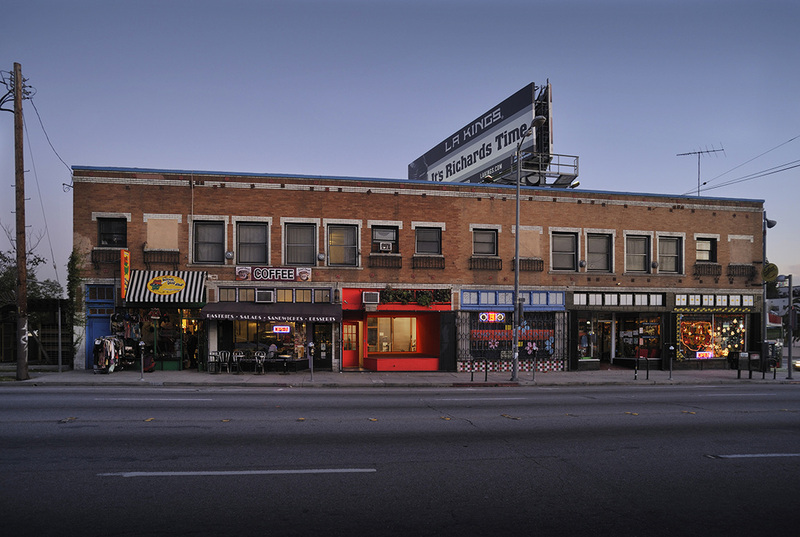 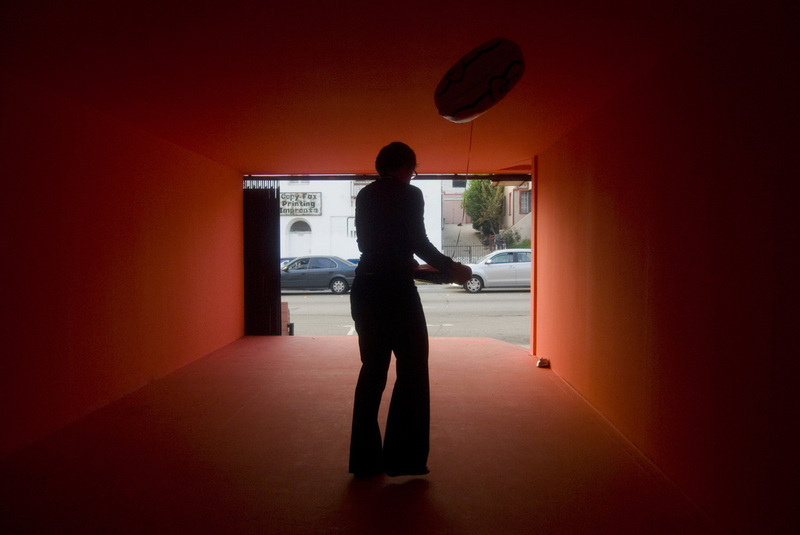 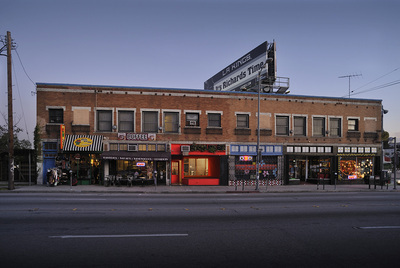 The work considers our experiential relationship with the ubiquitous storefront as well as the implementation of Machine Project’s public and community programming by physically intervening in both. 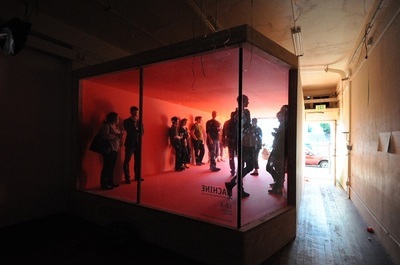 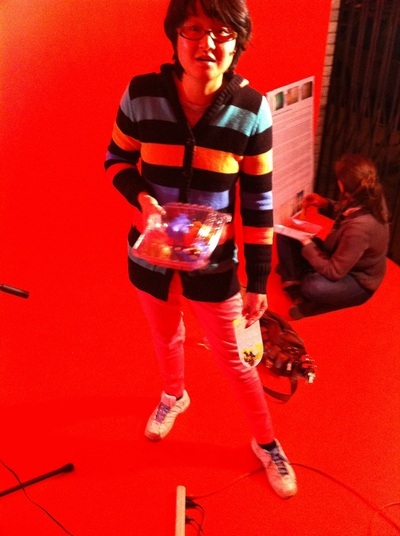 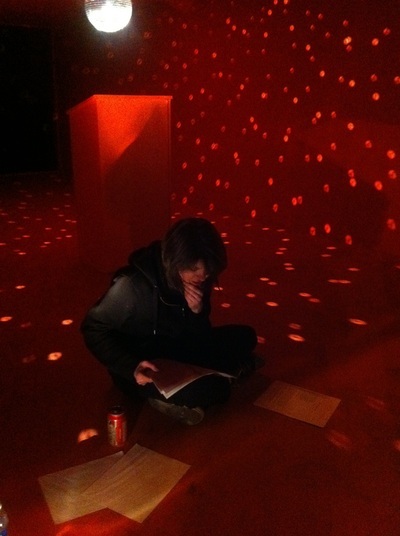 Machine Project - interview with Nate Page & footage from installation events by various artists.